The marine industry is waiting to see what position Donald Trump will take as president on the issue of ethanol levels in gasoline. The National Marine Manufacturers Association is “eagerly awaiting” Donald Trump’s appointments to head the Environmental Protection Agency and the federal Department of Agriculture to clarify the president-elect’s position on ethanol, which to date has largely supported ethanol increases in the fuel supply. While campaigning against Texas Sen. Ted Cruz in January, Trump told the Renewable Fuels Association in Iowa that the EPA should increase the amount of ethanol blended into the nation’s gasoline supply. Cruz had received sharp criticism in corn country for opposing federal subsidies for the ethanol industry, saying he would “tear down the EPA’s blend wall, which will enable ethanol to expand its market share by up to 60 percent, all without mandates,” according to Time Magazine. Trump was very supportive of the Renewable Fuel Standard at that time, saying he is “100 percent” behind the ethanol industry, a powerful force in Iowa, according to The Hill. On Sept. 15 Trump “momentarily” said he would repeal a key piece of the fuel standard, but quickly changed course, according to The Hill. Briefly, the Trump campaign website briefly posted a fact sheet announcing his opposition to a key component of the biofuel law, saying it "penalizes refineries if they do not meet certain blending requirements. These requirements have turned out to be impossible to meet, and are bankrupting many of the small and midsize refineries in this country,” according to the Times-Picayune. A Trump campaign official declined to comment on the change in the fact sheet, saying only that Trump’s commitment to the standard as it is currently written is “unshakeable,” The Hill reported on Sept. 15. 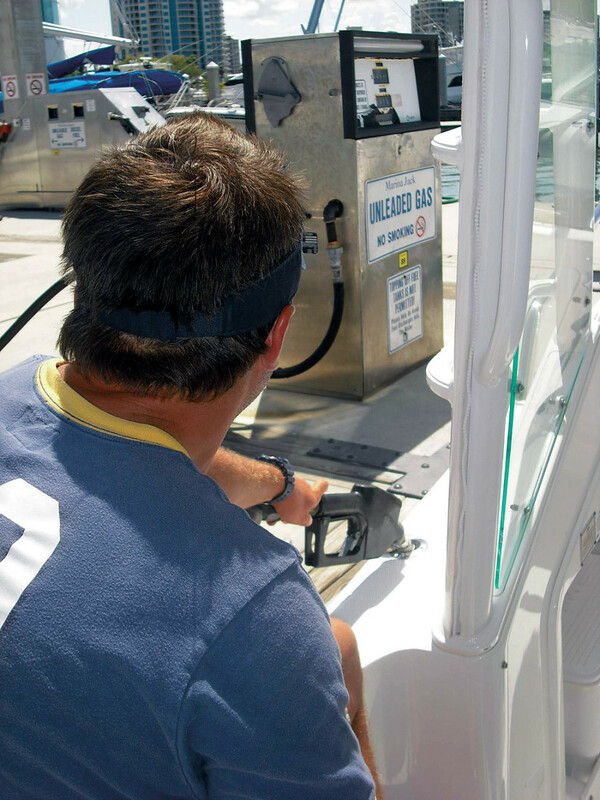 Once that is official, the NMMA will issue an analysis of what that means for the boating industry, which has long opposed raising ethanol levels in the fuel supply above the so-called blend wall. Lewan said the NMMA has been working to bring the Trump transition team up to speed on the issue. “As with any election, last week’s results present new opportunities for us as an industry to educate and engage with the new policy-makers coming to town or shifting roles,” Lewan said.